Featured Speaker: Angela Scully, former Executive Director, Uptown! Knauer Performing Arts Center. As the recently retired Executive Director of the Uptown! Entertainment Alliance, Angela will talk about life after Uptown! "The experience of moving from a 24/7 90 miles an hour role to quasi retirement at 5 miles an hour, reacquainting herself with her spouse, home, community and making way for next steps." Never too early to daydream about how your yard can look! Stop in for an interactive experience & tour at The Fence Authority and enjoy a light breakfast with colleagues and friends. A popular Spring tradition! Visit more than 2 dozen "one-night-only” art shows and galleries throughout downtown West Chester on First Friday. Bring a group of friends and make a night of it in downtown West Chester! Multiple locations throughout downtown West Chester. The West Chester Chamber of Commerce has partnered with the Chester County Human Resources Association to bring you panel of Recruiting expertise. We all know that recruiting the right talent is at the forefront of every business. With demographics shifting and the new IGen entering the workforce, are you prepared for this shift? Our expert recruiter panel will be comprised of Talent Acquisition Specialists representing recruiting agencies and in-house corporate recruiters. Hear from top Talent Acquisition Specialists in the region on the 5 things you need to do right now to help you attract the best talent including Recruiting best practices, what’s new & hot in the recruiting space and what will recruiting look like into the future? Join us at our annual State of Education Breakfast featuring presentations from Dr. Christopher Fiorentino, President of West Chester University and Dr. James Scanlon, Superintendent of Schools - West Chester Area School District. Dr. Fiorentino and Dr. Scanlon will discuss how their education institutions will work with the business community to better prepare students for the jobs of the 21st Century. 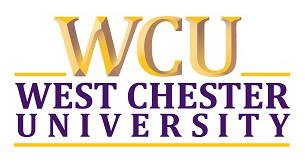 We will also celebrate Chester County’s young entrepreneurs and finalists of WCU Business Idea Competition. Error: Error validating access token: Session has expired on Saturday, 13-Apr-19 13:29:45 PDT. The current time is Monday, 22-Apr-19 15:48:51 PDT.